The editors of the socially-conscious magazine Mother Jones, explaining the woman Mother Jones to their readers, write: “She was a badass who fought for the underdog, battled child labor, and was sometimes referred to as ‘the most dangerous woman in America.’” She was also a fiery and brilliant Irish immigrant who was one of the founders of the American labor movement, a champion of workers who spoke truth – and gave some attitude – to power, including presidents, Congress and captains of industry. “Pray for the dead, and fight like hell for the living!” became her rousing battle cry. Few remember (or ever knew) that she once built a fearsome army of women armed only with mops and brooms. Or that she inspired the great folk anthem, “She’ll Be Coming ‘Round the Mountain.” Then there was that time she was in a West Virginia jail, accused of attempting to murder the governor, when she occupied herself by tossing beer bottles at sewer rats – she was 84 at the time. Mary Harris Jones was born in Cork in 1830, into a family of tenant farmers and rebels (her grandfather was hanged as a “traitor to the crown”). She wrote of her ancestors, “For generations they had fought for Ireland’s freedom. Many of my folks died in that struggle.” But it was the Great Hunger, not British tyranny or landlords, that sent the Harris family into exile. They settled first in Toronto, but Mary’s restless spirit took her from Canada to Michigan to Chicago to Memphis, never staying in any one place for long. “My address,” she once said, “is like my shoes: it travels with me.” She worked as a dressmaker in Memphis where, in 1861, she married George E. Jones, a labor organizer in the Iron Molders’ Union. George, Mary observed, worked in hell – for fourteen hours a day he huddled on a dark workbench, sweltering as he sat next to a blazing fire. Outside, another kind of hell was going on – the Civil War. Still, the young couple were happy and decidedly fertile; four children arrived in six years. Then, yellow fever came to town. Within two months, Mary Harris Jones buried her husband and all four of her children.The only way to cope with her grief, she decided, was to tend to other victims and their families. As soon as the epidemic passed, she left Memphis, now a place of unspeakable memories. She returned to Chicago, a dressmaker again, and opened a store downtown to design and fit dresses for the great ladies of Lake Shore Drive. To her clients, she was the invisible woman, unseen as she tugged at and pinned up elaborate gowns. They may not have seen her, but Mary saw them, their self-absorption and indifference to the “poor, starving wretches, the mothers on the other side of my store window, begging for food.” For her, this image threw into relief the vast chasm between rich and poor. Mary Harris Jones had endured famine, war, and plague, but now her tragedies were beginning to take on biblical proportions. In 1871, the Great Chicago Fire destroyed her business, home, and all her possessions. She lived outdoors on the shore of Lake Michigan, penniless, and, in echo of her childhood in Ireland, starving. One night, taking shelter in the basement of a church, Mary happened upon a secret meeting of an organization of skilled and unskilled workers, the Knights of Labor. It was her road-to-Damascus moment: the woman who had lost everything had now found something, her life’s work – raising hell. She became a powerful union organizer, lighting the flame of protest in coalmines, steel mills, factories, railroads. She eagerly recruited women and African Americans, a bold initiative at the time. Tirelessly and yes, loudly, she advocated and agitated for 14-hour work days and pay raises; she fought against unsafe working conditions, high mortality rates, and child labor. Sometime around 1897, Mary Harris Jones just, disappeared. She later emerged with a new name, and a new persona – older (she had added seven years to her age), dressing only in black (including a black bonnet), tying up all her possessions in a black shawl (“I travel light,” she explained) and gave her address as “wherever there is a fight.” But once she opened her mouth, the old biddy was transformed into a masterful orator: her powerful voice, still with traces of Cork, carried great distances. Mother Jones was born. Famed labor activist Bill Haywood invited her to be one of founders of the Industrial Workers of the World or “Wobblies,” a coalition of miners and trade unionists. Her inclusion in this group solidified her as one of the chief labor leaders in America. And across the Atlantic, she had gathered the attention and admiration of Irish freedom fighters, particularly James Connolly. Here was a woman of the Irish diaspora, seemingly sent from heaven to raise hell, fighting the government and skewering corporate fat cats on behalf of workers’ rights and freedoms. 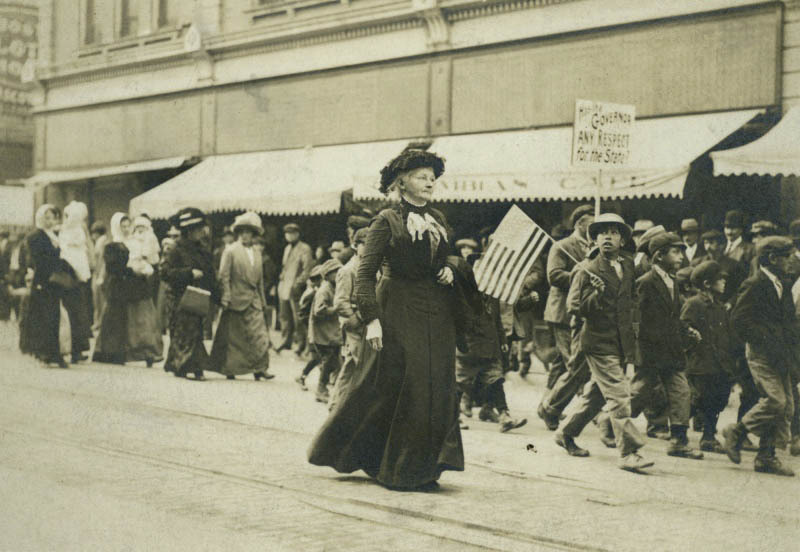 In 1899 she orchestrated a strike in Pennsylvania and when management brought in scabs, she goaded the now-fearful strikers, “I have been in jail more than once and I expect to go again. If you are too cowardly to fight, I will fight.” She even enlisted their wives, ordering them to charge at the strike breakers with mops pointed. “All of you hammer and howl and be ready to chase the scabs aiming your mops and brooms at them.” If this sounds like ancient Gaelic faction fighting or a replay of the 1798 Uprising where pikes were used as weapons, it was. 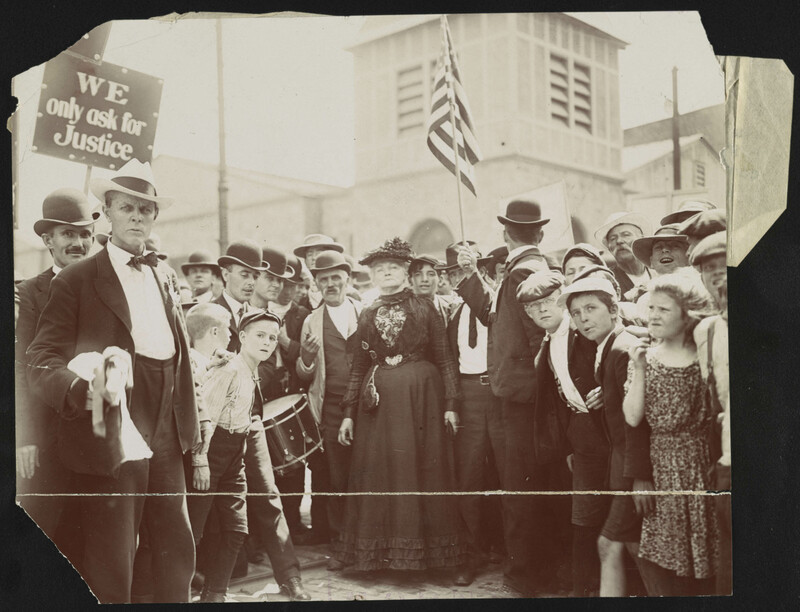 In 1903, she held a rally in Philadelphia to open her famous March of the Mill Children, a crusade to end child labor. The march included girls and boys with crushed hands and fingers, victims of factory accidents. Jones shouted to the crowd, “Philadelphia’s mansions were built on the broken bones, the quivering hearts and drooping heads of children.” She led her tiny platoon from Philadelphia through New York City and ended in Theodore Roosevelt’s home in Oyster Bay. In West Virginia she was at Paint Creek and Cabin Creek mines when the owners refused to let miners unionize; instead, they called in the infamous Pinkerton Detective Agency. Jones led the strikers as they were evicted, then forced into a “tent colony,” and she stayed as the situation devolved into guerilla war and bloodshed. Two hundred strikers were arrested and Mother Jones was charged with “conspiracy to commit murder,” specifically the murder of the governor. The evidence? She had asked him for a meeting. The district attorney, with the improbable name of Reese Blizzard, famously called her the “most dangerous woman in America,” a charge that succeeded in actually making her the most famous woman in America. 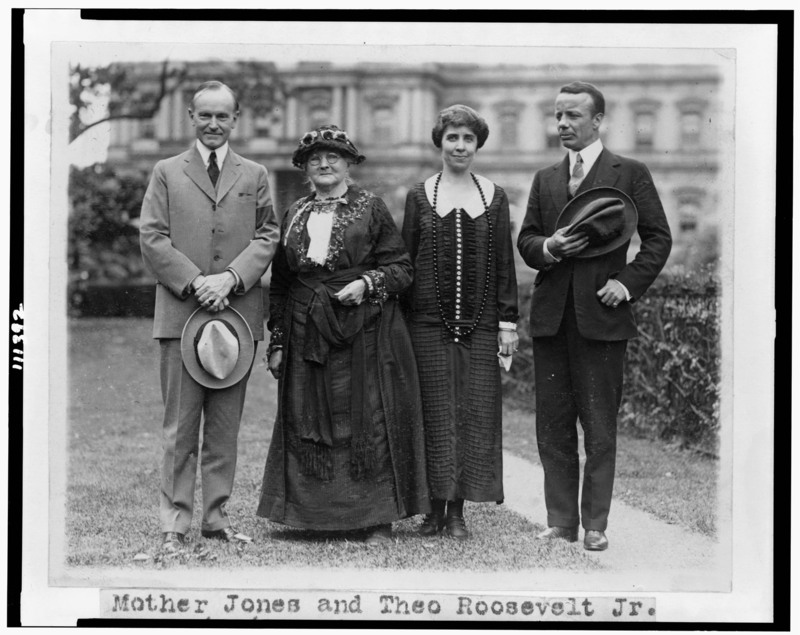 Mother Jones refused to recognize the jurisdiction of the court, refused a lawyer and refused to enter a plea. Nonetheless, she was tried, found guilty and sentenced to 20 years in the state penitentiary. From her cell, she wrote to the U.S. Senate, asking them to investigate the conditions of the mines. Surprisingly they did just that and Jones was set free. Set free to raise more hell. In 1913, a coal strike was raging in Colorado. When Jones heard that Colorado’s governor planned to bar her from the state, she got the next train to Denver. With hired detectives on her trail, she went straight to the mines owned by John D. Rockefeller or, as Jones preferred, “Oily John.” He insisted his miners were happy (notwithstanding the 90 percent who were on strike) and, ordered to negotiate by the Secretary of Labor, Rockefeller refused. Instead, he evicted the strikers forcing them into tent camps. 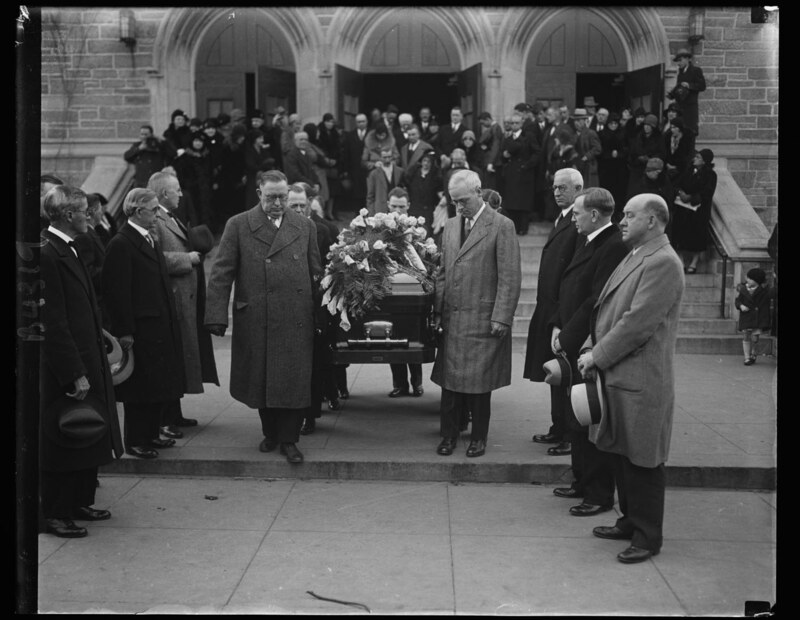 As tensions escalated, Rockefeller called in the National Guard. On Easter Sunday, 1914, the Guard fired on strike leaders and their families; 20 people, mostly women and children, were killed. Among those arrested was Mother Jones, who was thrown into a damp cell under the courthouse. The Ludlow Massacre was an eerie foreshadowing of another avoidable tragedy. When John D.’s grandson, New York Governor Nelson Rockefeller, was faced with a prison rebellion in 1971, he refused to negotiate with a joint committee of lawyers and prisoners. Instead he sent in the National Guard and state troopers resulting in 43 deaths at the Attica Correctional Facility. Rosemary Rogers co-authored, with Sean Kelly, the best-selling humor/ reference book, Saints Preserve Us! (Random House), currently in its 18th international printing. The duo collaborated on four other books for Random House and calendars for Barnes & Noble. Rogers co-wrote two info/entertainment books for St. Martin’s Press. She is currently co-writing a book on empires for City Light Publishing. This is pretty good, thank you. The Fighting Irish. Remarkable people. However, to say that Mother agitated for a 14-hour day cannot be accurate. Teddy Roosevelt ran for president partly on the goal of an 8-hour day for all. I loved the bio of Mother Jones, but also questioned her fighting for a 14 hour work day. Perhaps it should have been “against” a 14 hour work day.